God is our Refuge! These words ring ever so true in light of the travails currently facing the world. If it is not an Ebola viral epidemic or doom of a self-proclaimed caliphate of Boko Haram in West Africa, it would be the Islamic State or ISIS movement in Iraq – parading their depravity in front of the global audience with the beheading of Journalist James Foley. The age-old Israel-Palestine power and identity conflict continue to loom in the horizon. The world is crying out for answers. This is our cue as the Church to stand up and provide an answer. The solution to the world’s challenges is our rootedness in Christ, who has blessed us in the heavenly realms with every spiritual blessing (Eph.1:3). We continue to look up to heaven as we reach out with our feet and hands with the compassion of Jesus and as we proclaim him Lord of all. There is no other way! 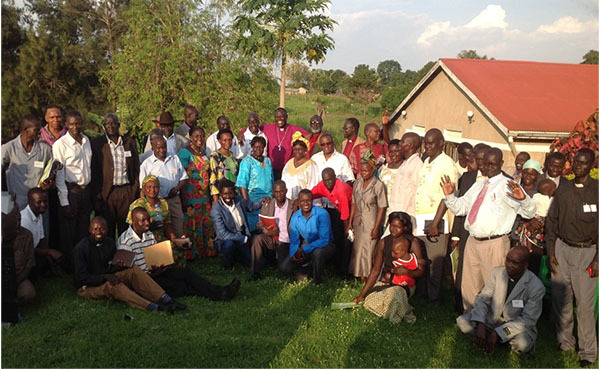 The Evangelical Community in South Sudan met in Yei, South Sudan to hold their 1st General Assembly since its inception during a conference in Mukono, Uganda in 2004. It was then legally known as the Sudan Evangelical Alliance (SEA). 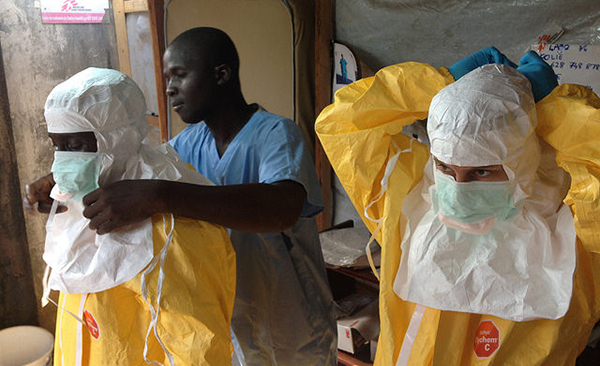 At the present time, West Africa is suffering under the worst outbreak of Ebola that the world has ever experienced. Over a thousand have died. Recently the World Health Organization (WHO) said the outbreak represented an international health emergency that will likely continue spreading for months. 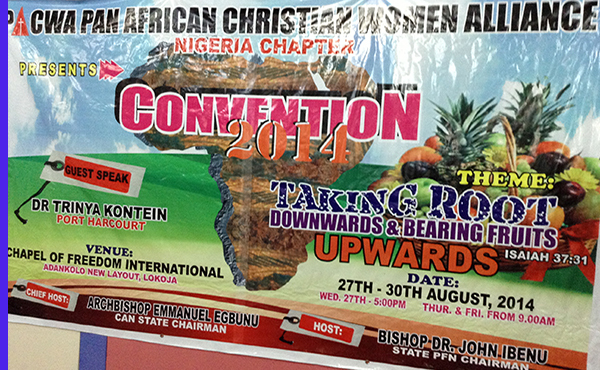 PACWA Nigeria chapter held a national convention on the 27th to the 30th of August, 2014 at Lokoja in Kogi state near the confluence of Rivers Niger and Benue to stand in prayer for nations in the region currently affected by Ebola. 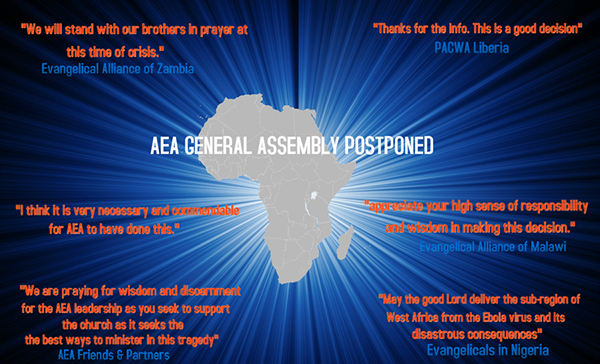 The Association of Evangelicals in Africa, with reluctance, announces the postponement of the AEA General Assembly, which was scheduled to take place in Accra, Ghana, on November 23rd-27th, 2014. Copyright © 2014 AEA, All rights reserved.